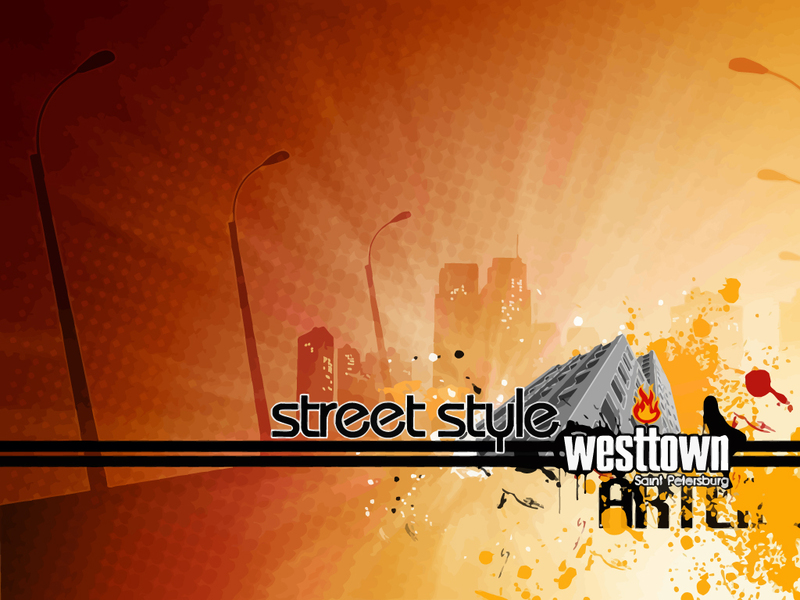 West Town Saint Petersburg street style wallpaper in vector format. Free urban vector wallpaper with buildings, skyscrapers, road, girl silhouette, street lights and pop art dot background. Download free city vector wallpaper pack featuring 1024x768 resolution JPG, Illustrator AI, EPS, SVG and PDF. All images are copyright of the respective owners.